In a nutshell: The Samsung Galaxy S7 launched in the UK on 11th March. 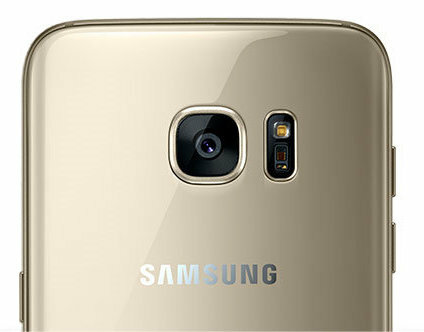 Building on the Galaxy S6, the S7 features an all-metal water-resistant design with a 5.1 inch Quad HD display. 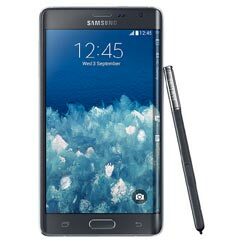 It uses Samsung's new super-fast 8-core Exynos 8 processor, and includes a microSD card slot, allowing the memory to be expanded to 200GB. A new dual pixel camera enables even better low-light photography, and the new selfie flash lets you capture perfect shots of yourself and your friends. An enhanced 3,000mAh battery keeps the phone going for longer. The S7 is already priced very competitively for a flagship phone, and we don't hesitate to recommend it. Last year's Galaxy S6 was quite a radical departure for Samsung as it first embraced the beauty of metal. 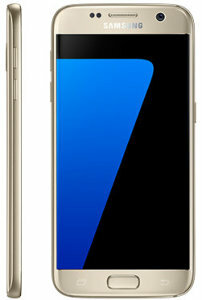 The S7 keeps the same style, and reintroduces some key features that were missing from the S6. Samsung's slogan - "Rethink what a phone can do" - seems to somewhat over-state what the S7 really is and can do, because the new phone doesn't look very different from the S6. Rather like the "s" versions of Apple's iPhones, the S7 seems to be a consolidation of the previous phone, fixing all the slightly annoying wrinkles, for a perfectly smooth finish. The S7 is 1mm thicker than the S6 at 7.9mm, and is slightly heavier too. We're happy that the rear camera is more recessed, and the shape seems to be subtly enhanced for easier grip. In fact, the S7 has finessed the design of the S6 in all kinds of tiny incremental ways, with more rounded edges making it a very comfortable phone to live with. The S7 retains all the good looks of the S6, making it one of the best-looking phones around. The S7 is water-resistant too, so you can stop worrying about getting caught in the rain - although we wouldn't recommend you take your S7 for a swim, especially not in the sea. The screen is unchanged from the S6, which is exactly how we like it, given that the S6 had the perfect screen size (5.1 inches), and with Quad HD resolution (2560 x 1440 pixels) and Super AMOLED display tech was unbelievably sharp, saturated and detailed. Tough Gorilla Glass helps protect this wonderful screen from damage. The S7 supports one-touch fingerprint recognition too, and comes in a choice of Gold Platinum or Black Onyx. Update (11 June 2016): From today, the Samsung S7 is also available in Silver, White or Pink. The S7 launches with Android 6.0 Marshmallow. Samsung has exercised more restraint than usual in its customisation of Android, and that can only be a welcome move. What's included is useful. Samsung has stuck with its own Exynos 8-core processor for the European version of the Galaxy S7, and it's the new Exynos 8890 processor. The Exynos 8890 runs a "big.little" combination of 4 Exynos M1 cores and 4 A53 cores. The M1 cores are capable of reaching a maximum speed of 2.6GHz, giving the S7 a significant performance boost over the 2.1GHz of the S6. Tests indicate that the S7 performs similarly to the iPhone 6s Plus in benchmark tests and may out-perform it in real-world tasks such as web browsing, thanks to the Exynos's 8 cores (the iPhone's A9 processor is dual-core.) Performance is always task-dependent however, but in simple terms, the Galaxy S7 is an extremely fast smartphone. There's no lag, and the S7 can handle the most complex games and apps with ease. Can a phone ever have too much memory? Hardly ever. The S7 has more RAM than the S6 - a massive 4GB. This RAM enables the phone to multitask like a laptop, swapping almost instantly between apps. While the flash memory is fixed at 32GB, the S7 brings back cheap expandable memory via a microSD card slot, which is a huge bonus. Cheap memory is a basic consumer right, in our opinion. 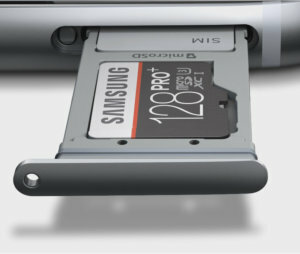 We were dismayed when Samsung removed this feature from the S6, and we're pleased that the company has recognised that error and allowed space for a 200GB card in the S7. It's one of the seemingly small things that makes the S7 more of a complete product than the S6. The main camera in the Galaxy S6 was quite probably the best in any phone in 2015, rivaled only by the iPhone 6s Plus. The camera in the S7 is even better. While the headline pixel count has actually dropped to 12 megapixels (down from 16 megapixels), the size of the individual pixels has increased, and the aperture has increased to f/1.7, enabling the camera to capture more light than ever before. Both features combine to deliver significantly improved low-light performance. Even in a gloomy bar at night, images remain crisp and bright, with just a little graininess creeping into the texture. We'd rate this as the best performance from any camera phone ever. Optical image stabilisation also helps to keep photos pin-sharp. The other new feature is a "dual pixel sensor". Technically this means that each pixel in the sensor has two photodiodes instead of one. The result is faster phase-detection auto-focusing, even in the dark. Another new feature is motion panorama - sweep the camera sideways to capture a single image stitched from the individual frames in the panorama. Another nice photo feature is "motion photo", which captures 3 seconds of movie when you take a photo. You can choose which frame to use as the final still shot. The 5 megapixel front camera has also been enhanced for improved indoor performance. Wide selfie mode lets you pan to the side, if you have lots of friends. And the front camera now uses the AMOLED screen as a flash, so there's no excuse for bad selfies any more. Unless, like us here at S21, you're just ugly. As expected, you'll find 4G LTE support, GPS, Wi-Fi, USB, NFC and Bluetooth 4.2. The device also has a 3.5mm audio jack, and support for ANT+. Samsung Pay is also supported. A one-touch fingerprint scanner can be used to unlock the phone. Batteries - the more you use them, the quicker they run out. That's why every phone can benefit from a larger battery, and it's why Samsung has endowed the S7 with a very impressive 3,000mAh of battery power. That's almost as much as the Note 4, and so much bigger than anything ever seen in an iPhone. It may also be the reason the S7 is thicker than the S6, but if that's the case, we're happy to accept the trade off. In day-to-day use, the S7 has exceptional battery life, easily surviving a whole day of very intensive use. You'd have to be an espresso-fuelled gaming junkie on a Fruit Ninja marathon to run out of charge in a 24 hour period. Normal people could easily get two days between charges, or even longer. Although the S7 doesn't support USB Type-C, it does have fast charging. With a wireless charging accessory, you can fully recharge in two-and-a-half hours. 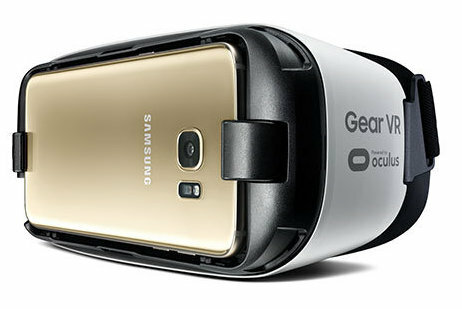 At first glance the Samsung Galaxy S7 may not seem like much of a jump from the S6. After all, it repeats the same all-metal slim design with Quad HD screen, and many of the new features - Android Marshmallow, faster 8-core processor, dual-pixel camera, and microSD card slot - seem like minor advances. What the Galaxy S7 does, in our opinion, is turn a superb phone into a truly outstanding one. Those minor upgrades should be seen as refinements of a phone that was very nearly perfect. Now the gap between reality and perfection is even smaller than it was before. Admittedly, if you already own a Galaxy S6, you might worry whether an upgrade is worth the money. In this case, perhaps the S7 Edge may tempt you. But for anyone else, we'd seriously recommend this phone. One thing that's worth pointing out is that the S7 is already retailing for less than the S6 did at launch one year ago. I am torn between which phone to choose. I am looking for an upgrade from my LG G4 which personally i absolutely love (but it currently has a glitch). I have shortlisted to Galaxy S7, LG G5 & HTC 10. Can somebody give me some impartial advice on what to go for, bearing in mind how much i love my G4? How good is it as a Phone? 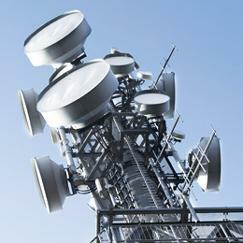 Connectivity, Volume etc? This review is all very good but misses the central point for a lot of people. Samsung have in the past been quite poor in this area. Not everybody lives in a great reception area. I know ive a had a quick blimp around it as a mates got a silver one and its VERY NICE, as for the reception, he's on Vodafone & has a signal improvement thing in his house...and got am reduction in his bill by 10 quid, he seems happy. My friend: had an iPhone and is wide-eyed @ what android can now do = yes, he aint regretted it at all luvs android, it seems. Got this phone in summer 2017, upgraded from the Samsung Galaxy S6, didn't like the lack of front fingerprint sensor on the S8, or the size of the S8. For me 5.1in screen is big enough. I'm so glad I went for the S7. It's got much better battery life than the Samsung S6, now last a full day with some life to spare, having the SD card back is also a welcome return. The features on the S7 compared to the S6 are very similar. I find the clock and notifications on the lock screen very useful. Can now tell the time or see any notifications without having to unlock or wake up the phone. I do find the phone more 'laggy' than the S6 it sometimes struggles in some apps when too many things are open or doing something. A bit frustrating but it doesn't happen often enough to be an issue. I recommend this phone if you need an upgrade, still a very good phone with excellent software, plus it's now much cheaper than the S8. My mum and girlfriend have the S7 with no complaints. Until getting the S7 I have always steered clear of Samsung devices. I can't give a good enough reason as to why. I've always been an iPhone user. I recently upgraded my mother in law and I got her the A5 2016. During the setup process I was completely bowled over by how good the A5 2016 is. I was really pleased at how Android has advanced over the years. I decided to take a risk and part ways with my iPhone and got the P9 Lite from Huawei. What a great phone. I only had one negative and that was the size. Being 5.2" and having square sides it felt awkward in one hand. I popped down my local phone store to look at the A5 2016 which I was pleasantly surprised with. They had none in stock and nor did any other store local. I looked at the S7 and found a good deal on contract. Trading my P9 Lite in covered the up front cost. Now to my review of the S7. Simply it is the best phone (IMHO) on the market. It ticks all the boxes for me. Battery life, camera, speed and usability are perfect. A solid build quality and weight that feels good yet not too heavy. Would I go back to an iPhone. Probably not unless Apple do something to open its OS up a little. Drag and drop from PC to phone is a must for me now. The Samsung Galaxy S7 is a fantastic device, and being an iPhone user for many years I didn't think I'd say this. I have found out the best phone. The phone is really working nice. The camera is working awesome. The phone even does not hang and with the updates of the phones it really works out to be the best phones. 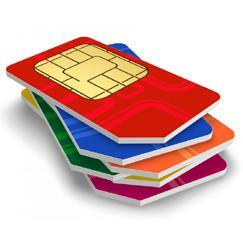 The phone that has got indeed enough space with all the specifications that really works great. The best phone you could ever have. Have had my s7 4 about a month now all I can say is in my humble opinion its a great phone its my first Samsung as well previously had the LG G4 And the G3 before that, firstly this is the first phone ive had where you can see the screen outdoors on a sunny day, the camera is excellent I thought the G4 had a good one but this is much better im sure most of yous will have looked all the reviews ect so won't bore you all with that stuff the battery life is pretty good ,a good days worth of screen on time online , music , and a bit you tube. I bought the Samsung wireless quick charger and it even charges with case on not super fast but good enough ive not timed it but roughly from mid 60% to 100 % in about 25mins now I noticed someone asked about reception I live in a rubbish reception area and this is so much better than my G4 no drop outs and will hold phone signal indoors im on the 3network in the UK which to fair is pretty good outdoors not so good in and I still have had no problems I can't comment on whether this is better than the edge but it is very nice to hold and use hope this helps. No reviews yet? I've always been a Samsung phone user, but drifted to HTC a few years back. Glad to return to the Samsung fold with this beauty. And Johnny, I easily get 48 hours of use out of my s7 on a single charge. You are right, Johnny. We had in mind the iPhone 6s, with its 1715mAh battery. The super-sized 6s Plus has a much larger screen to power, of course, and it's a power-hungry LCD screen, not like Samsung's OLED. But yes, we should have been more precise with our words. On a single charge, my 6s Plus gives me over 48 hours of standby time with 12 - 13 hours of usage. I'll be very surprised if the S7 can achieve the same. Time will well I suppose. Surely since this is the smaller phone when compared to the S7Edge it makes sense for the website to compare it to the standard IPhone rather than the 6s Plus for battery size. Why get so emotional about Apple its only a brand just look at the phones objectively rather than be a slave to marketing, try pulling your head out of your backside! Trust me I'm no slave to marketing. I just enjoy using a superior device. The reason for my post is because it seems like this website takes cheap shots regularly at the iPhone. This review is supposed to be about the s7. Why mention the iPhone?? If you're going to mention the iPhone why not mention other devices too? It's as if they're obsessed with proving how much better Android devices are, when they really ain't. We get it S21, you hate the iPhone. Get over it and move on please. So Johnny, why exactly did you give the S7 a 1 star rating? What exactly do you not like about it after using it? The Samsung review mentions the iPhone by comparison since it is the market leader and therefore directly comparable, if a car such as an Audi was being reviewed naturally you would have to assess how it compared to the market leader in its class such as BMW. In this case the website does review various brands with the idea that people can come and read reviews compare the products and then use the information to help choose the one they prefer. If you feel people should just stick with what they know and buy that phone why even bother reading about the others, what was your own motivation for reading the review? Also rating a phone you haven't used as 1 star simply because you don't like how it compares to your current phone suggests your brand loyalty is what you value above all else. When Apple start making overpriced branded toilet paper I'm sure you will be first in line to buy it! Was wondering that myself. it would seem Johnny is giving the review 1 star, not the device, and should maybe try to be a little more precise himself. Given the form factor similarities between the iPhone 6S range and that of the S7, and taking into account that is review is regarding the S7 specifically (not the Edge), I would assume the comparison of the battery statistics was quite obviously aimed at the iPhone 6S and not the 6S Plus. This has nothing to so with the S7. How about you not hate on the review when you're trying to defend a completely different phone? They mentioned the iPhone because it's a competitor to android. Different software, different hardware, different brand. It's usually Samsung VS iPhone every year so nothing wrong with the comparison. Also, you stated "On a single charge, my 6s Plus gives me over 48 hours of standby time with 12 - 13 hours of usage. I'll be very surprised if the S7 can achieve the same. Time will well I suppose." - iPhones are very limited compared to android phones. iOS doesn't let you do much and it freezes tasks when you're using certain apps to allow smooth handling on any current app. So of course the battery will last long... mainly because it's not doing anything usually. The display is still a 1080p screen too so it doesn't have to push as many pixels or have to handle the quad power the S7 does. OK, guys, this particular debate isn't really contributing much to the central subject - "is the Galaxy S7 any good?" - so we won't be processing any more replies. Thanks to everyone for their input. It's obviously a topic that arouses fierce passions.